Voice America – Extreme Exposure – Personality Riddled Content That Get’s You Noticed FAST! 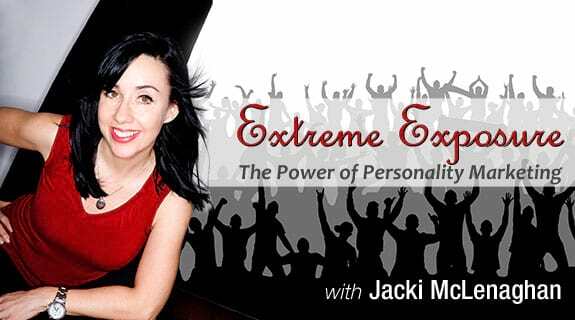 Home/Voice America – Extreme Exposure – Personality Riddled Content That Get’s You Noticed FAST! The number 1 reason that business owners struggle to gain exposure and brand awareness these days is simply because of one thing… They do not have enough valuable, informative and entertaining content being delivered to their ideal clients on a consistent basis. In today’s market with so much information at our fingertips, to get ahead you must be producing videos, blogs, podcasts, radio shows and webinars, if you want to stand out. And… With so much -not to be blunt but..- JUNK out there, you need to make your content COUNT! It must reflect YOUR unique personality! Our guest certainly knows how to make creative content work for her. She is the host of an evening weekly talk show with a variety of talent from Musicians to Artist and out of the box entrepreneurs. Laughters, booze and music!! It’s called ‘The Canadian Cougar Club’ AND IT’S AWESOME! She will talk about how to consistently create that unique content that gets attention.